On the 12th June 2016, 84 (Coventry Airport) Squadron flung open its doors and welcomed in both current and ex-members of the Squadron to celebrate the 70th Anniversary since its formation combined with the 75th year of the Air Training Corps. Despite the persistent rain, over 120 people attended the event from the newest enrolled cadet right through to the longest surviving member who joined the organisation back in 1944! 84 Squadron has a long and diverse history which dates back to its formation in 1946 following a re-shuffle of the Coventry Squadrons. Initially called the 2nd City of Coventry Squadron, 84 were based at Cows Lane in the city centre and thrived throughout the years making its mark as one of the strongest sporting squadrons in the Wing. After a move and subsequent rename, to Coventry Airport the squadron continued to thrive with additional classrooms added to the building to accommodate the strength and range of activities on offer. Many of the cadets ended up giving time back to the unit as either staff members or on the Civilian Committee. n’s history. This culminated in the production of “Looking Back with 84 Squadron”, a professionally bound book detailing the Squadron's history filled with full colour photographs and documents found in the archive. During the event on Sunday the book was formally launched and went on sale for the very reasonable price of £10 each. Guest of Honour for the event was Denis Smith who joined the ATC back in 1944 and followed 84 Squadron when it formed staying for many years as a cadet. He was extremely pleased when contact was made and the initial invitation sent for the event. He was the longest surviving member of the Squadron to attend the party and to mark the occasion he was presented with a Squadron plaque. Afterwards he sent his congratulations and praise in an email saying “it was clear that the attributes displayed show that discipline, respect, determination, ability, comradeship and the sheer desire to be in an organisation that is dedicated to aircraft, flying and all that is associated with that sphere of life, are very much alive and well in 84 Squadron”. Flying Officer Rosie Robinson, Officer-in-Charge was extremely proud to show off the current cadets on parade and made a short speech between rain deluges! Along side the main reunion event there was a cake and plant sale to raise funds for two very lucky cadets who have been selected to take part in a community project in South Africa during Summer 2017. 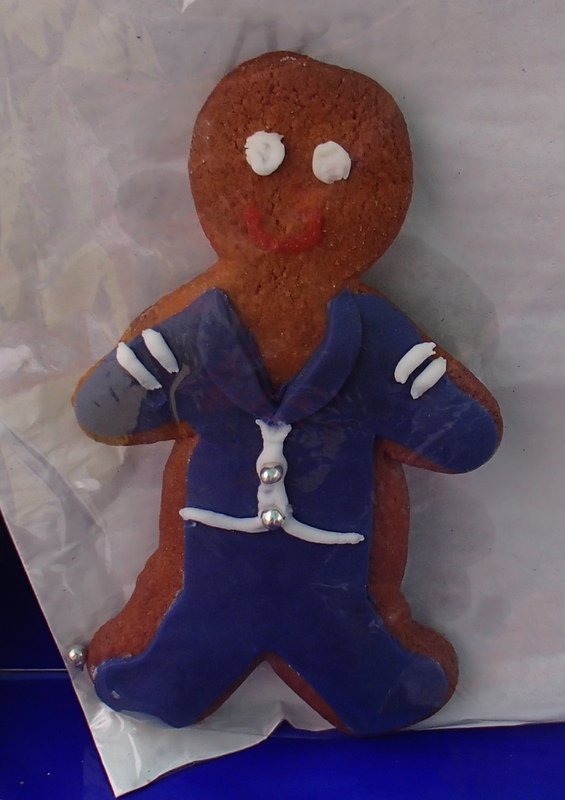 The total raised from these elements was a whopping £290 proving that baking all those gingerbread cadets really was worth it! Afterwards Rosie Robinson said “Today was the culmination of a lot of hard work and it certainly paid off. To see so many ex-members back in the unit was just fabulous and it makes me very proud to be part of the next generation”. Check out the Squadron Facebook page for all the photos.